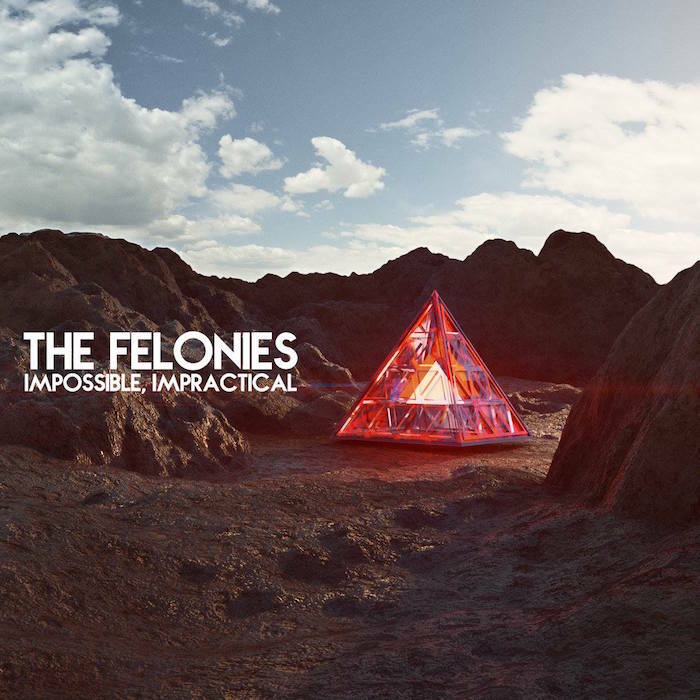 Hailing from county Wicklow, Ireland, The Felonies are the latest indie/rock offering to emerge on the music scene in 2016. Comprised of five members, all from Wicklow and only eighteen years old, The Felonies are already eager to sink their teeth into the gig circuit at home. Impressively, in spite of their age, they’ve already released a gem of a debut EP, Impossible, Impractical, full of belting indie tunes and pulsing rock anthems. Combining indie rock with hard rock, they’ve created a sound that is unique to themselves as a band, and this benefits their energetic live shows as well as their catchy guitar-based original music. The boys already have several interesting gigs under their belts, just before Christmas they performed in Fibber Magee’s and the Mount Kennedy Inn, followed by their biggest gig in The Harbour Bar in Bray on the 7th of this month. Admittedly, one’s expectations of such a young band can be a little narrow, how finely can a band have curated their sound in such a short space of time? Well, The Felonies blow are pre-conceptions out of the water with their brilliant melding of indie/rock and hard rock and a sort of Arctic Monkeys feel to their sound. ‘Second Attempt’ is like early Arctic Monkeys, with clashes of steel guitar and relentless drumming – it is just an infectious track of musical perfection. ‘Fire in the Snow’ is a more steady-burning track, more focused on the gruff vocals of the boys, with a grittier guitar feel. It’s amazing to see such a young band to have such finesse to their sound, it’s powerful and focused, and everything that music should be – one can only wait in anticipation for what they have to offer in 2016.